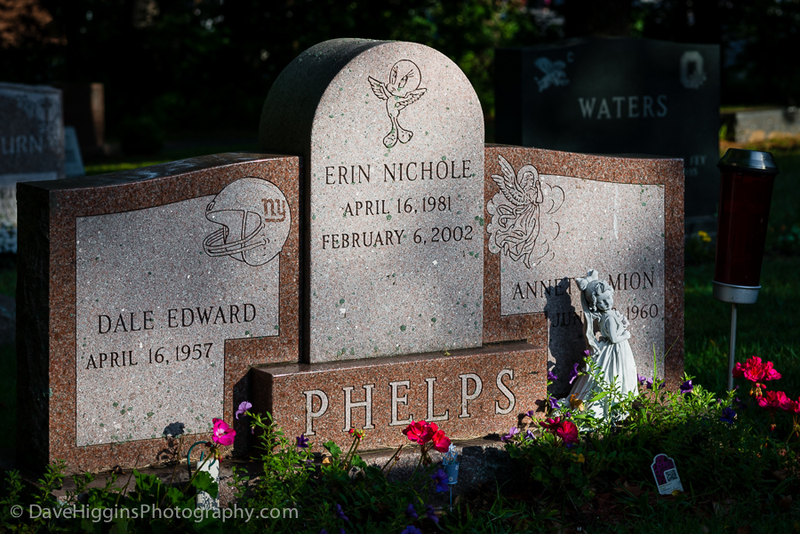 At a recent show that included a couple of my gravestone photos from “As We Are Now,” some viewers apparently believed I had added the photo on a stone with Photoshop. I guess they didn’t know what’s been happening with some modern gravestones. Death doesn’t change. But that doesn’t mean that death escapes its time or culture. The older sections of Washington Cemetery have an identifiable style, too, Ciamaga said. The new stones are just the latest one. But if that’s true, then these stones say something about the times in which we now live and die. Photographs is © Dave Higgins and “Dave Higgins Photography,” 2017; all rights reserved. 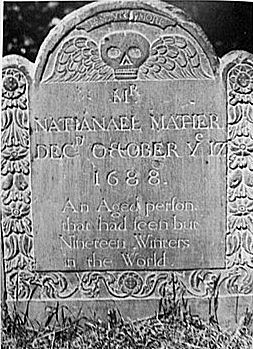 If you’d like to learn more about Puritan gravestone iconography, the City of Boston has a helpful web page. You can explore things even further in either a lighter (with photos) or heavier (with charts) vein. As these links demonstrate, Puritan cemetery folk art can be fascinating. And who knows? Maybe some day in the distant future historians will be similarly fascinated with the cemetery folk art from our time.